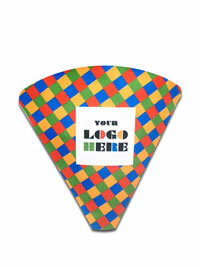 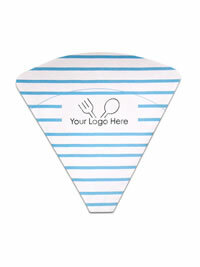 Friteshop.com can print your logo or artwork on any of our paper or cardboard cones or crepe holders. 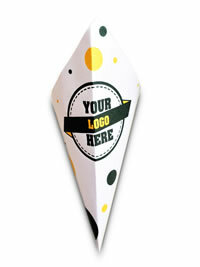 We can assist you in designing packaging in any size, shape and material that suits your product best. 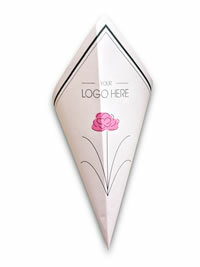 Our talented design team will help you create packaging that highlights your business.